​​PLEASE NOTE THAT I AM CURRENTLY UNABLE TO TAKE NEW CHILD ASSESSMENT CLIENTS. I AM WORKING TO REDUCE OUR WAITLIST AND WILL OPEN MORE AVAILABILITIES AS SOON AS POSSIBLE. The terms Attention Deficit Hyperactivity Disorder (ADHD) and Attention Deficit Disorder (ADD) are sometimes used interchangeably. It will come as no surprise that the primary presenting problem in ADD is inattention, while ADHD is generally a more serious problem which also involves hyperactivity. A lack of focused attention is the most basic characteristic of ADHD. A common misconception about kids with ADHD is that they don’t pay attention to anything, when in fact, the opposite is true – they pay to everything! Regardless of importance, all stimuli seem to easily capture the attention of children with ADHD (e.g., the bird outside the window or the noise coming from the ceiling fan is just as attention-grabbing as the book the child is attempting to read as homework). The particular activity and the surrounding environment play an important role in the child’s ability to focus. In school, a child with ADHD may have great difficulty concentrating on his or her work, but have absolutely no problem keeping an intense focus while playing video games at home (kids with ADHD seem to be especially attracted to video games due to their exciting graphics, constantly changing visuals, and interesting audio elements). Impulsivity is another core symptom of ADHD. Children with ADHD sometimes get the reputation of being “trouble-makers”, as if they intentionally plan to create havoc and chaos. The reality is that they often “think after they act” not before. They are usually fully aware of right and wrong, but unfortunately this distinction does not enter their mind until after they have already acted. Because their behaviours are often reflexive, they may be genuinely unaware of the effects of their actions on others, and may not understand why they are in trouble. This impulsivity means that children with ADHD are often more “accident prone”, are seen as impatient, talk over others, and may have difficulty managing their anger or frustration. Hyperactivity is often the most obvious characteristic of ADHD, and certainly the one that receives the most attention and criticism from teachers at school. Hyperactivity is usually not identified as a “problem” until the child begins school and must demonstrate prolonged self-control of movement. Excessively hyperactive children appear to be running on pure energy – quickly becoming bored and moving from one activity to the next. Let me be very clear about this: There is no definitive test for ADHD and there is much controversy about how and when it should be diagnosed. A diagnosis cannot simply be made from DSM (Diagnostic and Statistical Manual of Mental Disorders) criteria. Interview the parents, observe the child, and if the assessor checks off six or more of the necessary criteria...ADHD it is. In fact, because ADHD is very complex and can easily be misdiagnosed (and misdiagnosis can have serious consequences for the child), a proper assessment is extremely important. Therefore, a comprehensive assessment customized for the child or adolescent is, at least in my opinion, the most responsible way to test for attention problems. This may surprise you, but I believe that ADHD is over-diagnosed (this is in contrast to learning disorders which are probably under-diagnosed). 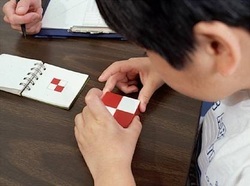 ● As you can imagine from the tests listed above, diagnosing ADHD can be quite complicated. However, I have seen individuals who were diagnosed with ADHD based on a simple 60 minute interview! No testing, no naturalistic observations, no standardized testing…just an interview and a checklist. Not surprisingly, quick interviews for complicated problems tend to miss a lot of important information that could potentially rule out or completely change the diagnosis. ● ADHD-like symptoms can sometimes be the result of other psychological, emotional, or learning-related problems. Children with adjustment problems, mood issues, or learning disorders may present symptoms such as inattention, irritability, memory difficulties, and impulsivity, which are then misdiagnosed as ADHD. ● Children develop at different rates. Simple, but true. Some children mature earlier than others and are able to focus, concentrate, and attend to what adults consider “important” before others do. However, some inevitably mature later and are slower to develop the ability to focus, concentrate, and quite frankly, sit still! This does not mean that the child has ADHD and one of the reasons why ADHD is rarely diagnosed before the child is at least seven years old. Supporting the theory that children who are slower to mature are more often misdiagnosed with ADHD, studies have shown that the youngest children in a classroom (regardless of the grade) are the ones most often diagnosed with ADHD. ● Finally, it is possible that some teachers are a bit too quick to implicate ADHD for academic problems or behavioural management issues in the classroom. Unfortunately, some parents have informed me that a teachers have “diagnosed” their child with ADHD and have suggested that medication be considered. Needless to say, medication without a proper diagnosis is never a good idea. What this all means is that an assessment for ADHD with me is definitely not guaranteed to produce a diagnosis of ADHD. I am confident that parents do not simply want any diagnosis, but the correct one (which may or may not be ADHD). I am committed to obtaining an accurate diagnosis based on multiple sources of information, up-to-date research, best practices for testing, and the unique presentation of the child, teen, or adult. Is your child struggling in school due to possible attention or concentration problems? Are you wondering if he or she has ADHD? If so, an assessment is the first step to finding answers and getting the necessary help for your child. 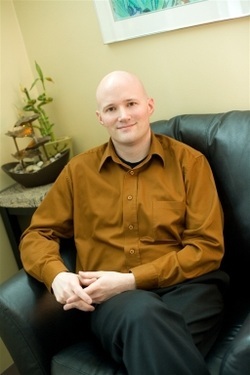 I also provide adult ADHD assessments for the Halifax area. Make sure to read the Assessment FAQS page and remember that the cost of testing is often covered by health insurance plans. Also, if you would like to talk about your concerns or have any questions about assessments I am happy to offer a free 30 minute in-person consultation with absolutely no obligations or commitments. To get started, enter your information in the form below, use this Contact Information, or read more about booking Appointments.